Welcome to Royal Oak's K-12 ESL Program, where our diverse families add educational and cultural value to the Royal Oak Schools Community of Excellence. Our ESL Program offers high quality academic and language services to English Learners, as well as community support and services for their families. Please see the Family Resources Page for a description of these services and translations of documents. 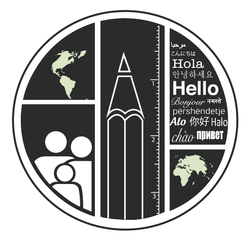 Royal Oak instructs K-12 English Learners of all levels, from beginning to advanced. Beginning in the 2013-2014 school year, the state of Michigan is adopting the WIDA (World-class Instructional Design and Assessment) standards. It can take 7-10 years for English Learners to develop the academic language needed to succeed in all curriculum areas, and it is Royal Oak's mission to work closely with students at every level of language development. Our program assesses each student in order to identify unique language and academic needs, and we design personalized instruction to ensure success. For beginning students, WIDA standards are focused on social and instructional language. English Learners at all levels are taught the language of language arts, the language of math, the language of science, the language of social studies. Royal Oak's ESL Program offers many opportunities for families of English Learners to be involved in their child's education. We believe that a partnership between school and home is essential to academic success. Please see the Family Resources section, blog and calendar for upcoming events and translations of important documents. Feel free to contact the ESL department at any time with questions about our program or your child's educational experience.